This post focuses on the maintenance needed on your deck to keep it looking at its best. If you’ve followed our previous advice and used a good quality decking protection product then your maintenance should only need to be minimal and does depend on which product you have used. 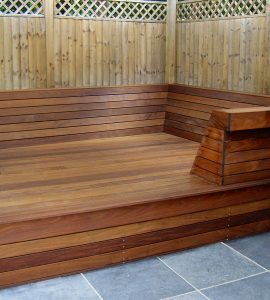 We’ll discuss the maintenance needed for the main types of decking protection here in this post. However, if you haven’t used Owatrol products you need to check the instructions from your manufacturer on how to maintain their products. If you have treated your deck with either Owatrol’s Textrol penetrating wood oil or our Aquadecks water-based penetrating wood treatment then necessary maintenance is minimal. 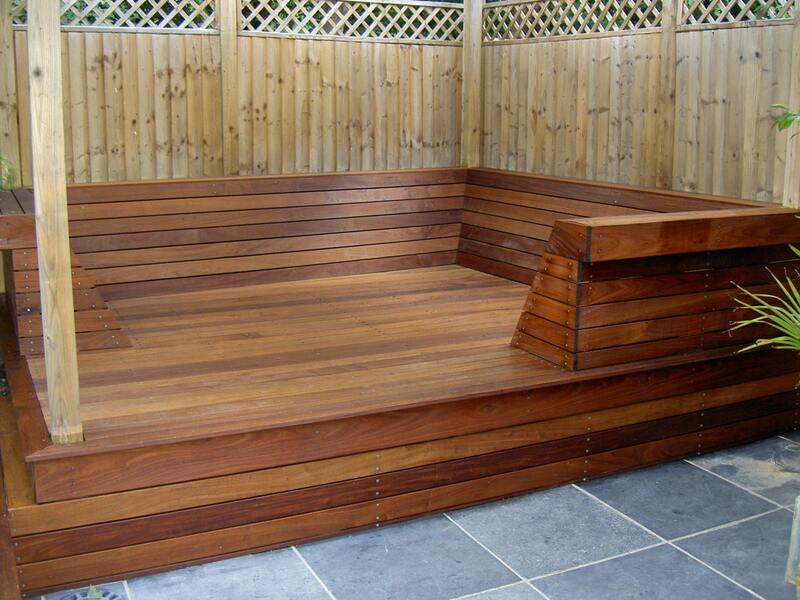 For decking, a maintenance coat is usually required approximately every 2 years. Usually a single application will be plenty to restore the great natural look of your deck. If you live in a location exposed to harsh weather or your deck gets a lot of heavy traffic you may find that you need to top up the protection more frequently. If not then every 2 years should be sufficient. 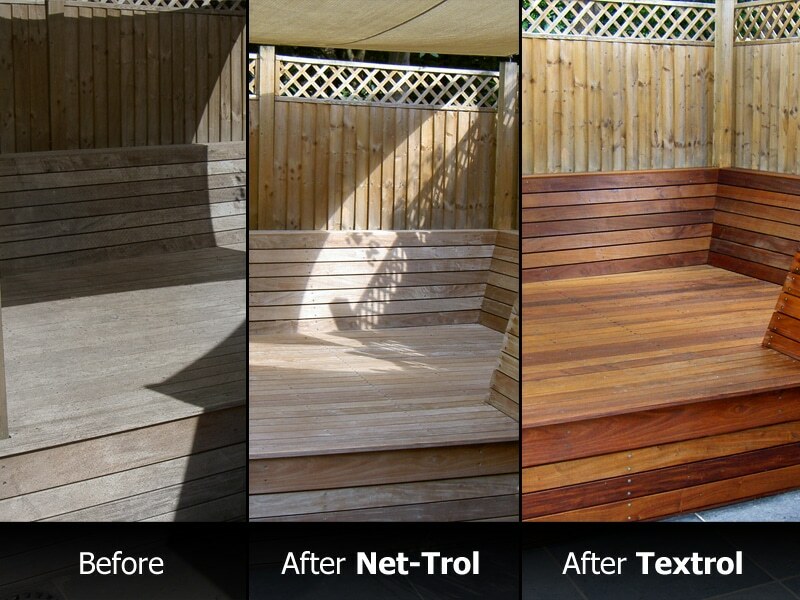 Before applying a maintenance coat of Textrol you should give your decking a quick clean using Net-Trol wood cleaner. This will remove any dirt and grease which has built up over the couple of years. It will also bring back the natural color if the wood has begun to fade to a gray color. It’s simply a case of wetting the surface, scrubbing the Net-Trol on using a stiff brush, leaving it to work and then rinsing it off whilst scrubbing again. If you treated your deck with Deks Olje D1 then your maintenance is likely to be even less! Your decking will gradually lighten over time due to UV exposure (don’t panic, this is completely normal and your deck is still protected). Once it has lightened to a light grey color it is time to apply a maintenance coat. The length of time this process will take depends on the location of your deck and the weather; but it will usually be several years. At this point you simply clean the deck with Net-Trol and apply D1 again until the wood is saturated. This will usually only require 1 or 2 coats. If you have finished your decking with Owatrol’s Solid Color Stain, which is covered under our 5 year guarantee against peeling or flaking, then rest assured safe in the knowledge that very little maintenance is required. You shouldn’t need to do much maintenance at all for a good few years; except perhaps for a quick clean with Net-Trol to remove dirt and grease build up. However, surfaces with particularly high traffic or exposure to harsh weather may need a maintenance coat sooner. If the color begins to fade or the deck begins to look worn it’s probably time for a maintenance coat. To apply a maintenance coat of Solid Color Stain you first need to give your deck a good clean with Net-Trol wood cleaner – wet the surface, scrub Net-Trol into the wood using a stiff brush, leave it for 15-30 minutes and then rinse with lots of water whilst scrubbing. Then to apply the maintenance coat in the same way as your initial application. 2 coats with 3-4 hours of drying time in between the coats. If you’ve used high quality decking products, the maintenance required is minimal and your deck should look at its best for years to come.